Precision Garage Door Bay Area employs a team of highly skilled and knowledgeable technicians who can handle any Redwood City garage door repair job they are faced with. From fixing noisy garage doors to replacing broken springs, we have the tools needed to get every job done in a prompt manner. Our shop at 35 Quail Court, Suite 301, Walnut Creek, CA, 94596 is stocked with a wide variety of parts and materials so that we can complete all jobs quickly and correctly. When you're ready to get a problem fixed correctly, call our office at 1(866) 949 3722. We strive to offer comprehensive Redwood City garage door maintenance services so that you can keep everything working perfectly. Our team can diagnose any issues that they find, and we'll make sure that a thorough garage door safety inspection is done so that you can have confidence in the reliability of your system. To take the hassle out of getting your broken or noisy garage door worked on, we're upfront with our pricing and happy to provide accurate estimates for any job. From helping with a door balance to taking care of the details of a door track cleaning to replacing broken springs, we'll get everything done as efficiently as possible so that we can save you money on labor. Our Redwood City garage door maintenance services could help you prevent small problems from turning into large ones. We understand that it can be difficult to work around an opener that isn't working. 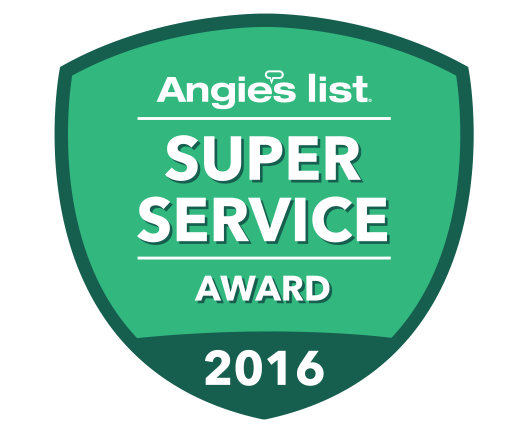 Our technicians are flexible with their appointment scheduling, and we can handle any garage door opener repair job that you need us for. As part of our commitment to excellence, we can also assist our customers with jobs involving door track repair or door panel replacement. To ensure that everything works perfectly, we'll work meticulously at all times. Whether we're performing a garage door safety inspection or making sure that a door balance is correct, we work with the satisfaction of our customers in mind. We'll help you understand the benefits of having a door track cleaning done and answer any of your questions. "Paulino was a bundle of joy! Very courteous and friendly. 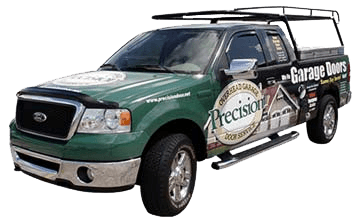 W would highly recommend Precision Door to anyone in our family." "Paulino was great and he was very courteous. He was able to repair my garage door quickly and with ease of mind. Thank you Paulino." "Job well done! Paulino arrived on time and was able to get my springs replaced and now my garage door runs smoothly and quietly. Thank you Precision and Paulino." "Replaced my springs and now my garage door opens and closes smoothly." "Cory did a great job, our garage door looks amazing. He did it in such a short time i was amazed. Thank you Cory." "Hector, was very professional and honest regarding the work that needed to be done. He was thorough and delivered as promised. I also applaude your company for providing a discount for US armed forces veterans. 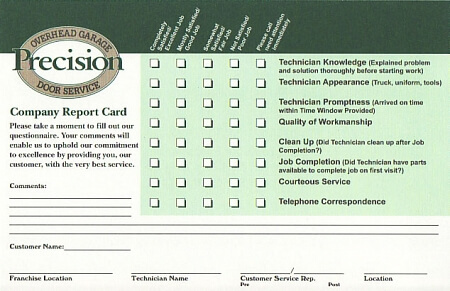 Great Job"
"We have used Precision Garage Door before and they were great, so called again. Mike was our technician and was great. Will call again them again next time." 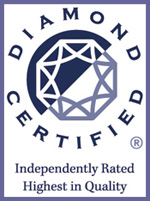 "Brandon was very courteous and knowledgeable. We called them to get a new motor on the new door they installed in 2014." "The technician who worked on this Jose Martinez was very prompt, courteous, knowledgeable, skillful and honest. The rates of Precision are also reasonable. I would of course refer to my friends and acquaintances of Precision. Thank you !!! *****"
"Paulino is a great garage door technician. He is fast, friendly, and knows his work." "Very prompt, very quick, very nice and knows how to fix garage doors." "Mike was courteous and professional. Thank you." "You fixed my garage on time. Never expected it." "The technician did his job very well. I was satisfied with his suggestions and options he gave me to fix our electric garage door. The price of $577 a little high but I guess the price is right. Thanks for your quick service." "Great job! Came right on time! Work is excellent. He took the time to explain everything before starting to fix my garage door and opener." Chris,Always good to hear from another happy customer. Thank you. "Did a great job explaining what we needed and how he would fix it and what we could do to keep it in good condition. Thanks for your help!"